How To Optimize Content For Google's Mobile Algorithm Update? What is the biggest algorithm update Google has made over the last decade? For most of us, Google Panda and Penguin immediately spring to mind. Right? Wrong! The biggest and most notable change Google has made over the last few years happened, or at least started today. 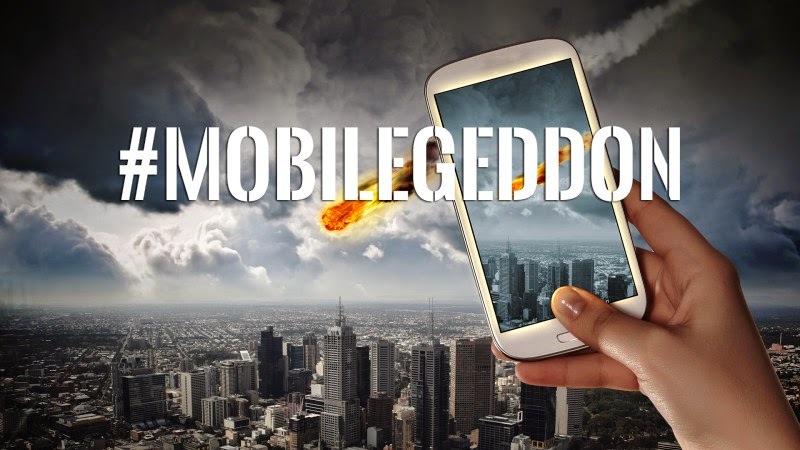 Unofficially dubbed as "Mobilegeddon", this new April 21 update is focused towards promoting mobile-friendly sites in search results, effectively turning the tables for various businesses, large and small. This new update promises to be a game changer. It will rank mobile-friendly sites higher than non-mobile-friendly ones. Many webmasters from around the world are anxious about its release since it could significantly impact traffic, and could mean an entire reworking of site architecture and the content contained therein. Today, we'll look at what this update means for your content, and how can you adapt your content to meet the requirements of this new algorithm update. There is going to be a series of changes that you should aim to heed if you intend to keep producing high-quality, compelling content after the update has completely rolled out. User experience on a mobile device is different than a desktop browser. One of the most obvious differences is the change in screen size (and the amount of usable real estate). Currently, a headline can stretch across the full banner-length of a browser, but mobile screens change the game when it comes to headline width. Create shorter headlines. For Twitter users, it just means that you can practice your 140-character limit more often. For those of us who don’t use this particular social media network, now is a good time to start. We need to learn how to condense page-width headlines into more bite-sized chunks, without sacrificing the impact potential of our headline. “Snackable content” is something that content producers are all too aware of, but is especially important for mobile optimization. Create content that the user can consume in one sitting. However, the format in which we present this content is likely to be as bite-sized as the content itself. Because of short attention spans and aversions to “walls of text” it’s likely that mobile users would feel put upon when it comes to dealing with paragraphs that fill their entire screen. What this Means for Us: Learn to summarize your ideas. Keep to the point and make your copy more targeted in nature. In some cases, such as home pages, reduce the amount of copy there altogether. Increased copy gives the user a hard time and makes for difficult reading, especially on a tiny display. Get your message across in short bursts. This mobile update is likely to make content producers do the same, paring content down to be less wordy while at the same time interspersing calls to action. Condensing content will require us to consider what we write and distill the message in as few words as possible. What this Means for Us: Rethink the methodology for creating content. In addition to making content compelling and benefit focused, we must also now take a look at the amount of words we use and how often we call to action. It could possibly mean a change in the basic tenets of web writing. The exclusion is blog content– they will always rank and read better in long form – but for your home and main pages, less content means a better mobile experience, and happier readers. You may need to review web writing and revamp some marketing approaches accordingly to align to with what is expected from mobile friendly sites. Assalamwaleykum bhaijan...your blog is on wordpress hosting... or free blogger hosting with custom domain. Assalamualaikum vai, i need a permission, i want to share the content of your website in my website, i want to share the content, but i will change the tittle keeping the content unchanged. Do i get permission ??? Absolutely correct, Mobilegeddon is the biggest algorithm update till now. It's on blogger dude. They are using custom domain. However, the blogger forum is hosted on their server. I didn't know short headlines are good for mobile ranking. Thanx for sharing.